Nowadays, international hockey players in the NHL are commonplace. It’s hard to imagine hockey without the distinct skating style of the Russians or the finesse of the Swedes. The Red Wings, like many teams, have fallen under the influence of the Europeans. Iconic lines dot their history and they have several others in their sites. Though they embrace what the European nations have to offer now, drafting Euros was a risk once upon a time. Tommi Salmelainen was the first ever European drafted in the NHL in 1969 by St. Louis. Following suit, the Red Wings kicked off their Euro-love in 1977 by drafting Dean Willers (UK) and Bjorn Skaare (NOR). The Red Wings took a risk drafting Willers and Skaare. Up until that point, Canadians and Americans dominated the league. By 1977, the Red Wings had missed six consecutive playoffs and were in need of a drastic change. 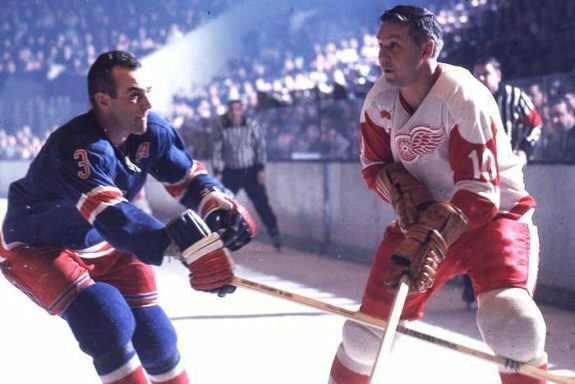 Even under the leadership of Red Wings great Alex Delvecchio, Detroit was limping a lot more than they’d care to. They plummeted in the standings, well below the .500 mark. Drafting Europeans was risky given that it was a new concept and their style was far different. It was a risk Detroit was willing to take. Though neither player completed a full season with Detroit – Skaare only played one game – it was the start of a lasting relationship with European hockey. The impact of Europeans within the Red Wings organization wasn’t instantly visible. In fact, besides Ladislav Svozil, a Czechoslovakian drafted in 1978, Detroit avoided Europeans altogether. Maintaining their former pattern, the Red Wings stayed within the Canadian and US borders for their talent until 1983. Petr Klima entered the scene 86th overall in the 1983 NHL Entry Draft, acquired from the Czech National Team. The successful Czech native sparked Detroit’s curiosity for international talent once more. Selecting six European-natives in the 1984 draft and four in the 1985 draft, Detroit made it evident that the Euro-rage was here to stay. While stock-piling international draft picks, Detroit called upon their first. Klima stepped foot onto NHL ice for the first time in 1985. Though the Red Wings didn’t make the playoffs that season, Klima posted a very encouraging 56 points in 74 games. Klima’s success with the organization bolstered the struggling team’s morale and further justified their other selections. Klima spent six seasons with Detroit, one with the Adirondack Red Wings, Detroit’s AHL affiliate at the time. Though he moved on to other teams, Klima’s success followed him throughout the majority of his 786-game professional playing career. Since Klima, the Red Wings have selected at least one European during the entry draft every year. Though many don’t ever end up seeing ice time, the initial influence of international hockey is irreversible. As the seasons progressed, Detroit relied more heavily on Swedish, Finnish, Czech and Russian influence. International scouts were working full-time to track down the best the European leagues had to offer, shrugging off the skeptical onlookers. Jet-setting into the future, Detroit, along with the rest of the league, has fully embraced the enormous pool of talent across the Atlantic. Europeans currently make up 27.3% of active NHL players. Though Canada still holds the majority at 45.3%, there is no denying the impact the Europeans have on the way the game is played. Over the last five seasons, the Wings have been galvanized by Swedes, Czechs and everything in between. Prior to his career-ending concussions, the brute force of Johan Franzen along with the calm leadership of countrymen Henrik Zetterberg and Niklas Kronwall comprised the face of the Red Wings for the younger generation. Upon Lidstrom’s departure, Zetterberg quickly assumed his role as captain and hasn’t stopped impressing. “What he did and still is doing is simply incredible. What a player,” said Schellenberg of Zetterberg’s impact as a player. Finishing the 2017-18 season with 960 career points, Zetterberg’s influence is undeniable. 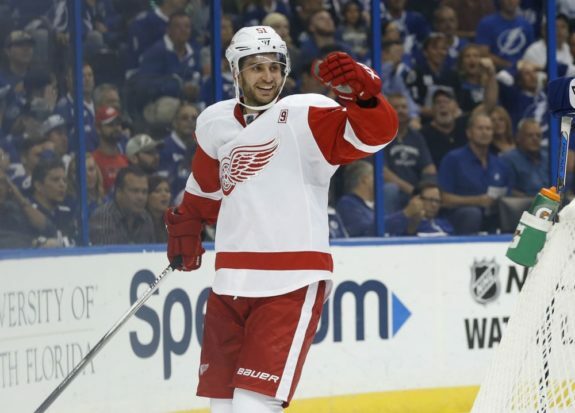 Joined by Martin Frk, Frans Nielsen, Xavier Ouellet and formerly Tomas Tatar, the Red Wings have continued benefiting from the European infiltration. The NHL currently harbors roughly a 70/30 ratio of European to North American players. International studies show that more than 40% of the European skaters end up returning to the IIHF or other international leagues before ever reaching their 400 NHL game mark. 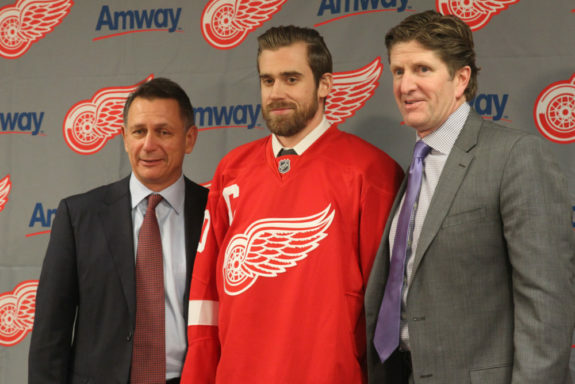 In light of these facts, how heavily dependent on overseas talent should the Wings remain? The upcoming draft is loaded with international talent. According to Schellenberg, “…Adam Boqvist is the top defenceman eligible. 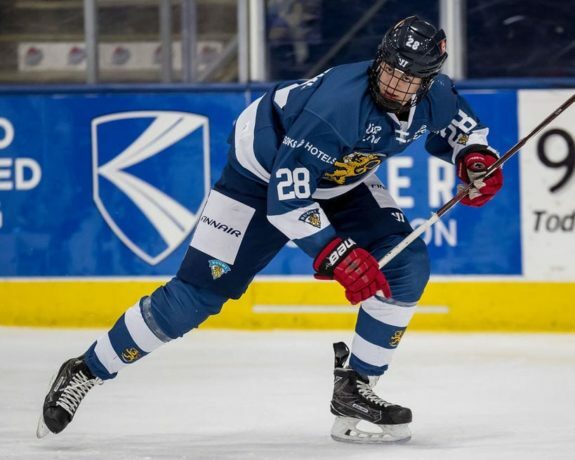 Forwards-wise, the top picks would be Jesperi Kotkaniemi, Rasmus Kupari, and Grigori Denisenko,” however, is it worth drafting European skaters who will likely not reach the NHL within the next two to three seasons (if not more)? The European influence on the Red Wings is unmistakable. Over the last few seasons, the Red Wings have experienced the elite talent pool that comes from international leagues. Though a great majority of international skaters never reach the NHL level, the lasting impression left with the Wings ever since Klima is one that will never be shaken. Initially resulting in uncertainty and little benefit, the Wings took the risk and have since reaped the reward. If they are able to harness the full potential of existing and future international skaters, the Red Wings could once again be a powerhouse European-led team.